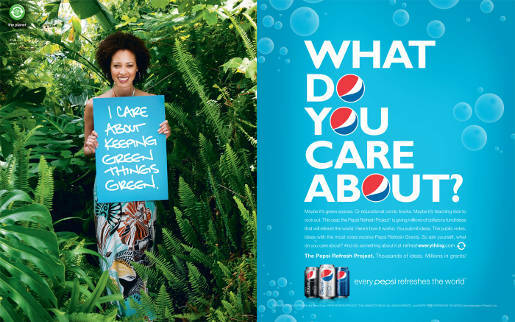 What do you care about? 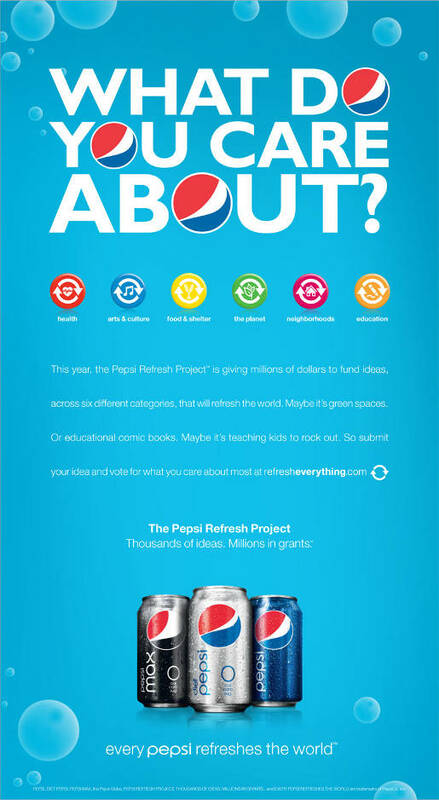 In 2010, the Pepsi Refresh Project is giving millions of dollars to fund ideas that will refresh the world. 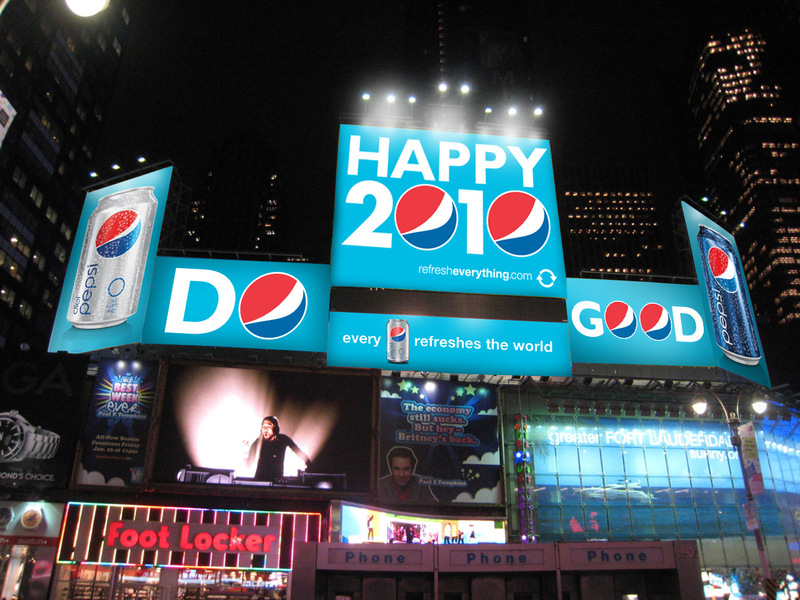 To get people to take their ideas to the www.refresheverything.com web site Pepsi has launched a television, online, radio, print and outdoor advertising campaign. The commercial, which reportedly won’t be aired on SuperBowl, features One Village by Black Eyed Peas, in a split screen video some compare to the Japanese YouTube hit Sour Hibi no Neiro. 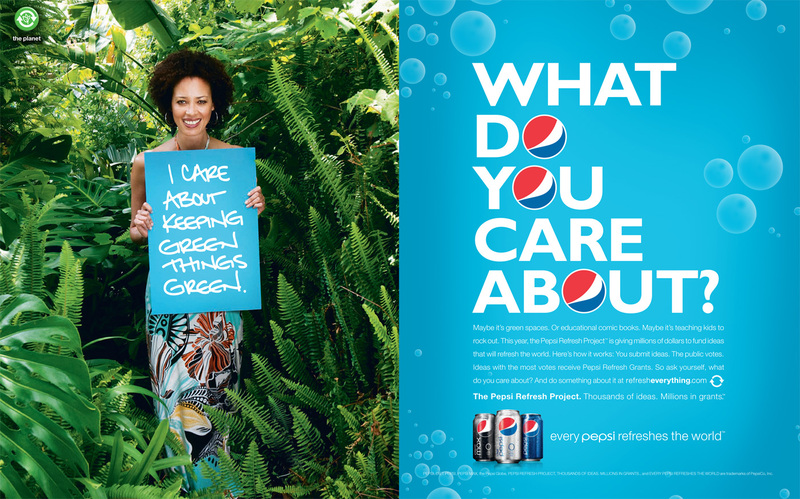 Print advertisements and out of home advertising ask the question, “What do you care about?”, and reassure consumers that “Every Pepsi Refreshes the World”. 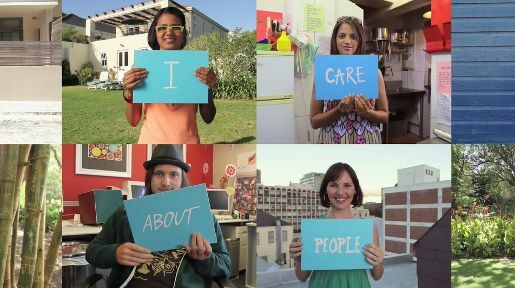 The Refresh campaign is being developed at TBWA\Chiat\Day, Los Angeles, by global director of media arts Lee Clow, chief creative officer Rob Schwartz, group creative director Brett Craig, interactive creative director Michael Tabtabai, associate creative director Xanthe Hohalek, art director Dustin Artz, copywriter Chris Jones, managing director Erica Hoholick, account director david Dreyer, management supervisor Kristen Latto, executive producer/agency producer Anh-Thu Le and assistant producer Doris Chen. 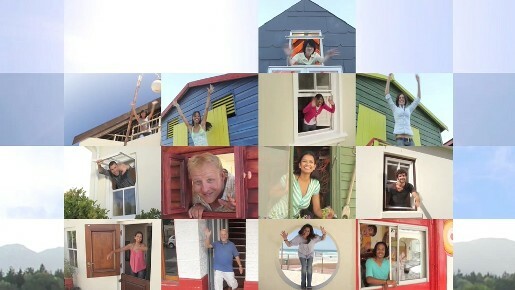 Filming for the One People video was shot by director Francois Vogel via Paranoid US, director of photography Michael Cleary, executive producers Cathleen O’Conor and Claude Lettessier, line producer Janice Biggs. Editorial work was done at Union Editorial by editor Einar Thorsteinsson, assistant editor Daniel Moreno-Luna, executive producers Michael Raimondi, Megan Dahlman, producer Joe Ross. Visual effects was done at Resolution by senior visual effects supervisor Todd Iorio, VFX artists Amir Qureshi, Seth Silberfein, compositors Evan Guidera, Jason Jenson, John Nierras, Mannix Richenbacher.